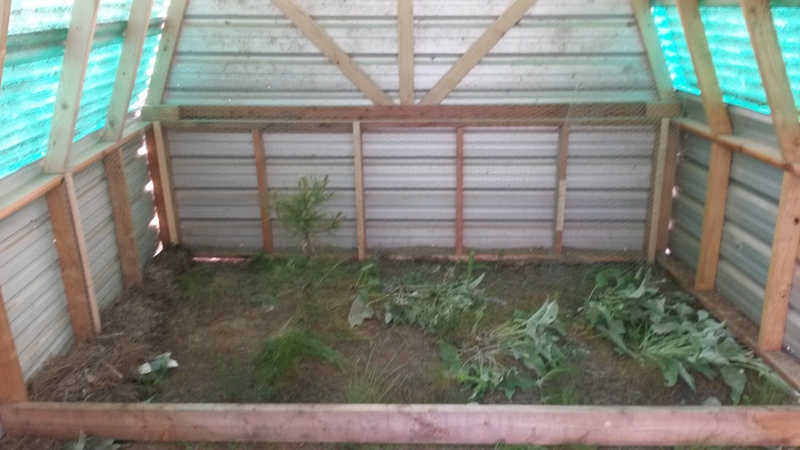 I built a small shed from some greenhouse plans a while back. I used it to house the Delaware chicks until they put on their feathers. They’re in a chicken tractor as of yesterday, so I have my shed back. Slight problem. The shed is where I want to build another outbuilding. The pic above is from after the move, but you can see that I zipped a 2×6 across the floor of the shed to hold it together during the move. I also screwed a 2×4 across the doorway. 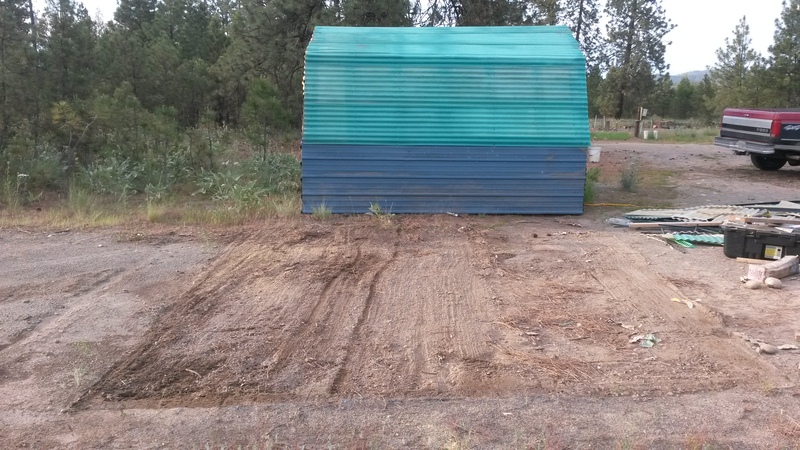 Time to get started on the new outbuilding.